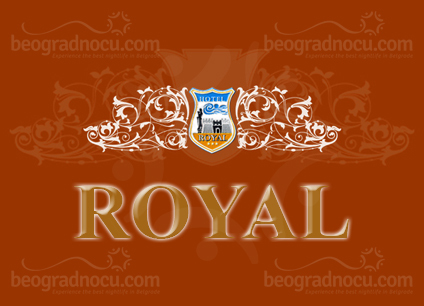 Club Royal is located within hotel of the same name, which is located in downtown of Belgrade, Kralja Petra Street. Attractive location and remarkable offer, provides this club a large number of regular. Interesting thing about this club is that club Royal is opened for your pleasure 24 hour per day, precisely whenever is convenient for you you can come. During a day, you can stop by for a business meeting or coffee with friends, while in the evening you can spend remarkable time. Entire hotel Royal will charm you with its architectural structure. Club Royal is designed as semi-closed garden and has capacity of 70 people. Important thing about club Royal is hospitality and friendliness of its staff, as well as their discretion. Depending on your mood, you can enjoy sitting in booth if you like, or seating table. Whitin club Royal there are two VIP rooms, for a little intimate socializing and physically separated from rest of the club. Whether you choose classic entertainment or just relaxation in booth, spectacle will not fail. Excellent music program will contribute to your good mood. Music is mostly house, pop and rock. Club Royal has very affordable prices, adjusted to everyone's pocket. Near club Royal there are dozen lines of public transportation, so wherever you are, you can come easily here. Make sure to visit club Royal and ensure yourself in unique entertainment that you can experience only here.